Pawisik---thx for that suggestion but the GPS does the same thing when I plug it into the computer, so I'm unable to see or do anything with the files. Warning: This procedure may delete information (waypoints, routes, tracks, etc) from your GPS and settings may be set back to factory defaults. It is intended to be a "last ditch" recovery procedure. 2. Attach the GPSMAP to your computer via USB cable while continuing to press "Up"
3. Continue to hold down the "Up" button for 30 seconds while the GPSMAP boots. During step 3) you should only see the Garmin banner for 30 seconds followed immediately by the USB graphic. If you see any other text such as your custom banner, banners for loading maps, waypoints, etc then you have not held down the power button long enough. If you've just updated and for some reason the GPS will not boot (i.e. freezes at the Garmin logo or complains about system software missing) then this procedure will sometimes recover the unit. 3. From Explorer, navigate to C:Recovery and drag and drop the rgn file onto Updater.exe. The updater program should start. 4. Set "Connection Settings" to be "USB Device". 6. Once the device name is visible in the Updater window after "USB Device", click on "OK". 7. The program should start the update and you can release the "Up" button. 8. Leave the GPS plugged in until you receive a confirmation of a successful update and click "OK". 10. After this update run Webupdater to make sure you have the latest software. I had to use it to update and fix my GPS. My Garmin Map 78 has just quit, or at least I think it has. Tried many batteries that seemed to be good but unit comes on briefly but then the screen fades...I assume I will need to replace it. I've been following this thread with much interest, despite being totally tech-less myself. After procrastinating over a GPS purchase for several years I'm now convinced what I really need is an Inreach; mostly for the peace of mind and added backcountry safety. At the very least I'd be happy pairing it with map & compass (which I'm comfortable with). The tablet idea is genius however. I've never been fond of squinting at tiny screens. I don't own an iphone and don't intend to. Good device but it's not in my future (I think). My question is : what about charging? Are the Inreach battery packs sufficient for a recharge of the Inreach in the field (and how many recharges?) Is a solar panel necessary to pair up with this system? We generally don't trip longer than 7-10 days. What is the experience of Inreach owners regarding power usage and recharging needs? Thanks everyone, this is a steep but enjoyable learning curve. 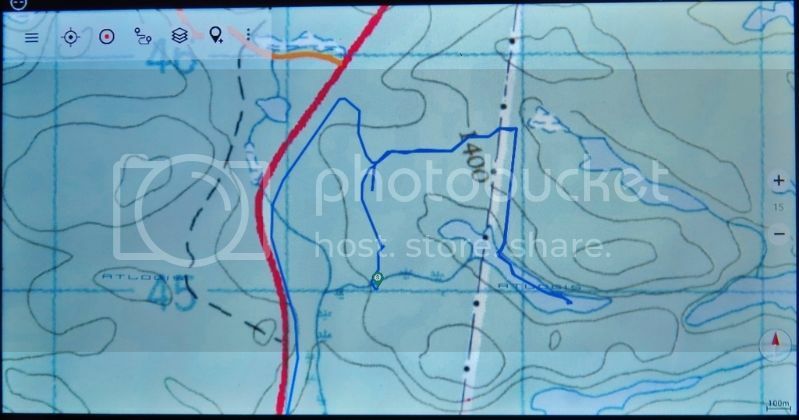 wotrock; Of course, any Android device will run the Canada Topo Maps Pro mapping app that I use, but not all Android devices are created equal. The reason I chose a Samsung tablet is that it had been around for a while, and was seen as a quality tablet. I wanted something reliable, when I was out exploring in the bush, and this tablet has delivered. I've never had a HipStreet device, but I have seen them around for sale. My suggestion would be to do a search for reviews on this device, and then decide whether it would suit your purposes or not. Any device can malfunction, but some devices are well-known for malfunctioning. Odyssey; Yep, I also looked into the idea of those SPOT, InReach devices and decided that I was much safer in the great outdoors than I was in a large city. I think that there are a lot of misconceptions about exploring the wilds, largely perpetuated by those who do very little of it. Sure, there are always dangers and risks, but these can be handled very easily with a little common sense, and know-how. 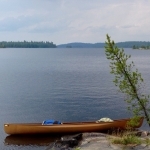 I've explored remote places all my life, mostly alone, I'm 65 now, and still alive to tell about it To me, the risks are part of the adventure, and I depend on my own abilities, common sense, and know-how to keep me out of trouble. Ever heard of the saying "When seconds count police are only minutes away"? My suggestion would be to learn all you can about exploring in the outdoors, and take small steps at a time, until you become confident in your own abilities. Never become complacent in the wilds, that's when it will bite you. I started using an Inreach this Summer, battery life is important for me because I am doing mostly long trips, 4+ weeks. Delorme claim 100 hours of battery life, of course that is dependent on the type of use (frequency of tracking, number of messages sent, received, composed etc.). From the tests I have done and from other testing results I have found online the 100 hours seems a bit optimistic but not completely unrealistic. Currently I am working on the basis that if I have it in tracking mode at 10 minute intervals and send/receive 1 message per day (with a fairly short composing time) I'm going to get about 8 days based on 8 hours per day of tracking. You should have the "check for messages" set to manual and "extended tracking" set to on. I have tested recharging in the field using a 10,0000 Mah power bank and also a little USB emergency charger that uses 2 AA batteries, both worked although the charging speed was slower than using the AC wall charger Delorme provides with the unit. For 7 - 10 day trips I think you just need a small power bank so that you can do one recharge in the field. Make sure to test the power bank to ensure that it maintains it's charge over time and has a strong enough enough output. Thank you recped; invaluable information. A tremendous help for our gear purchase. Thanks everyone. I too am waiting for a tablet sized inReach; waterproof in a shockproof shatterproof case. Dare I dream? Or wait? One possible set-up would be a tablet/ iPad in a third party waterproof case for use during the day that is paired with an inReach to send/receive your daily message. In this case, not waiting as that setup is currently available. The current or most recent Apple Watch and iPhone both offer a level of waterproofness that was not previously offered so waterproof or at least water resistant is on the minds of the developers. And the are tough or roughed Android devices/Windows machines already available but just not marketed to the general public compared to the more common devices. Thx, Bryan and PP, but it didn't occur to me that the unit could be fixed using a fairly simple 'reboot' type of procedure. I contacted the Montreal Co. again to question their statement that Map 78 parts wre n/a and they corrected themselves to say that, in fact, they were. So I sent the unit off to them a few days ago and expect to hear back shortly with a repair estimate(or maybe a re-boot charge if that will work). wotrock; Of course, any Android device will run the Canada Topo Maps Pro mapping app that I use, but not all Android devices are created equal. The reason I chose a Samsung tablet is that it had been around for a while, and was seen as a quality tablet. Yes indeed, of course, of course. I posted that question late at night when my brain------like the kitchen of a restaurant late at night----had shut down for the evening! I did Google that model as well as a RCA model and the reviews wre lss than stellar. I will wait for a deal on a better quality device if fixing my Map 78 is not worthwhile. thx again for your comments. me again. This may be a bit off topic, but I am a novice wrt smart phones---we have a flip phone now. I have inquired at our local phone place and it seems the cheapest rate I can get for a smart phone is about $30/mo. My wife and I are both retired so don't have hectic schedules like those parents who both work and have kids buzzing here and there, so we have minimal use for a phone. It's for 'minor emergencies' such as calling to say that I've been delayed and will be late. Is there a way around that $30 charge and still be able to use topos? Yes. A smartphone will work without a SIM card. You'll just use Wi-Fi. There are some nice phones out there with cameras in the 20 something megapixels which are great at taking those ever popular pocket or thumb shots. Wotrock, you might consider just buying a small tablet instead of a smart phone if you are thinking about this. If you do as bearburrito suggested you will almost certainly have to purchase the phone outright anyway. On the other hand, if you purchase an unlocked smart phone that's compatible with your current SIM card, you may be able to use the SIM in the new phone (without a data plan and still be able to make calls), then use WIFI for the maps, as bearburrito suggested. Be careful about this, since not all SIMs are compatible with all phones. If you do as bearburrito suggested. Answering yes or no to a question does not make it a suggestion. I would not suggest buying a smartphone simply to navigate while in the backcountry. However I would suggest a smartphone over a tablet because it would fit easily in my pfd and would not interfere with my paddle stroke. Hold on I have a call.